Curmudgeon’s Corner: It’s a Monkey, OK? 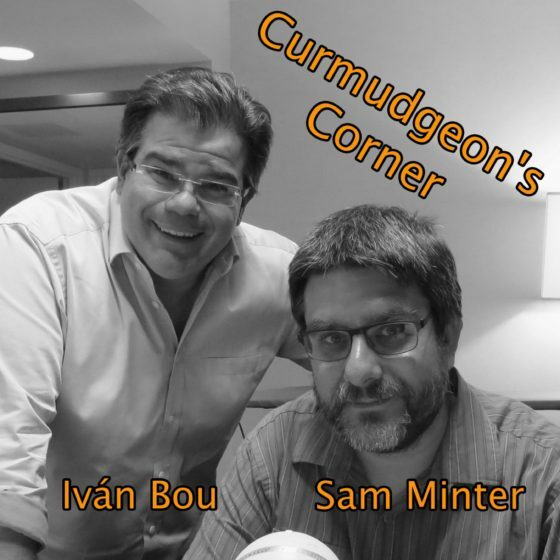 On this week’s Curmudgeon’s Corner to make up for last week’s one topic show, Ivan and Sam do an all lightning round show. 12 topics total for the show. These include a Trump/Russia update, because, well, how could we not. But also a bit on Sam’s dogs, the “border emergency”, Joe Biden’s issues with being too touchy, Brexit, nuclear power, and six other exciting things! 16:39:21 Retweeted @ZerlinaMaxwell 14:57:49 Why do some white Dems do this thing where they try not to offend people who voted for Trump but in turn offend every person of color? It’s a big problem.Trump is a racist and that wasn’t a deal breaker for the people that voted for him. That’s just a fact. 19:20:33 Retweeted @jeremyherb 19:19:06 NEW: Barr writes to Judiciary Committee leaders that the Mueller report will be ready for release with redactions by “mid-April, if not sooner,” per @LauraAJarrett. Barr also proposes testifying before the Senate/House Judiciary Committees May 1 and May 2. 00:18:10 Retweeted @jrpsaki 2019-03-27 18:41:20 . @AOC deserves huge credit for breaking through the noise and putting climate change on the national radar by talking about it in human terms. Health asthma clean water. many Democrats have been trying to do for decades. She has done it. It’s in the conversation. 16:44:37 Retweeted @MarisaKabas 16:42:55 Biden’s path to announcing his 2020 bid is paved with rakes, and he keeps stepping on all of them. 19:50:05 Retweeted @mostlybree 19:43:48 My first fantasy was By the Sword by Mercedes Lackey. I was 12. I was so pumped. IN LOVE. I ran out and said I NEED MORE FANTASY.Someone handed me Tolkien. 17:11:35 Retweeted @bobcesca_go 00:59:33 It’s insane the number of people with employer-coverage who don’t realize how the ACA is benefiting them, despite not being on the exchanges. Every consumer regulation in the ACA applies to all insurance regardless of how it’s purchased.